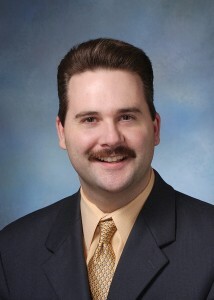 Paul Secor founded Secor Strategies, LLC in February 2009. The company provides services to large non-profits, universities, governmental entities, and small businesses in the areas of program management, virtual events, grant writing, event coordination, and video production. Paul is a Certified Grant Writer and has served as the lead writer on grant proposals which have won clients more than $6.3 million since the company’s inception. He has also helped to plan and execute major programs including the NASA Swarmathon which currently serves 30+ universities and 400 students, the NASA Minority Innovation Challenges Institute, the Florida Tech UTeach Program, and several other initiatives. Under his leadership, providing Program Management services for clients has become the cornerstone of Secor Strategies. In an effort to serve the ever growing needs of clients who need to reach audiences remotely and deliver content online, Paul developed a 600 square foot virtual production studio complete with multiple cameras, microphones, a video switcher and green screen. In 2014, he further expanded these capabilities by hiring a team of developers to create his company’s own proprietary Virtual Expo Software called New Expos. New Expos is capable of delivering online presentations, as well as connecting exhibitors and attendees via one-on-one webcam to webcam conversations. Recently, he has also assisted clients with video production needs including shooting and producing promotional videos for NASA projects, non-profit organizations, and special events. Prior to starting his own company, Paul served as the Director of Technology Transfer for the State of Florida’s Technological Research and Development Authority (TRDA). During his eight years at the TRDA, Paul oversaw and managed the Space Alliance Technology Outreach Program (SATOP), a NASA funded initiative that solved more than 2,500 technical challenges for small businesses across the US; The Department of Defense Commercialization Assistance Program, which provided business development assistance to DoD SBIR Phase II companies; the NASA Alliance for Small Business Opportunities (NASBO), which provided grants to assist NASA SBIR companies in commercializing their technologies; and the Florida Disabled Veteran Business Initiative, which worked to register and connect disabled veteran businesses with state procurement opportunities. In addition to these activities, Paul was also responsible for identifying and pursuing new local, state, and federal funding opportunities for TRDA programs. Prior to joining TRDA, Paul was employed as the President of the Titusville Area Chamber of Commerce. Paul holds a Bachelor’s degree in Communication from the University of Wisconsin – Oshkosh. He has completed specialized courses at Georgetown University including Congressional Operations and Advanced Appropriations. He is a graduate of the US Chamber’s Institute for Organizational Management. 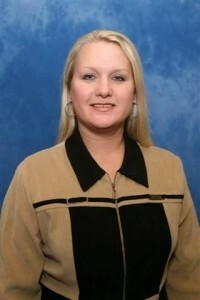 Mary Baker joined Secor Strategies, LLC in March 2009 as the Programs Manager. She is a Certified Grant Writer and has helped to write proposals which have helped clients of Secor Strategies win more than $6.3 million in funding. In these proposals she specifically led the efforts on research, budget development, graphics creation, proofing, compliance/eligibility verification, and final submission. In addition to grant writing, Mary has also served as the Program Manager for different client projects that have spanned multiple years and have contained multi-million dollar budgets. She supports such projects in the areas of logistics, outreach efforts, communications, data management, reporting, and more. She also has been successful in coordinating major events including the 2012 rollover of Space Shuttle Atlantis from the NASA Vehicle Assembly building. This national event at Kennedy Space Center was attended by more than 5,000 people and required coordination of stages, sound, tents, vendor exhibits, and educational activities. Prior to joining Secor Strategies, LLC, Ms. Baker served for over 11 years as a Program Manager for the State of Florida’s Technological Research and Development Authority (TRDA). While at TRDA, she managed the Minority Owned Business/Women Owned Business program, which introduced such businesses to procurement, technology transfer and commercialization opportunities at NASA-KSC and other federal agencies. Ms. Baker also oversaw the Florida Minority Institution Entrepreneurial Partnership. This $1.8 million initiative created a partnership between NASA-KSC, TRDA and six of Florida’s minority colleges and universities. The program exposed students and faculty to real-world jobs and experiences with high-tech small businesses, introduced minority owned businesses to technology transfer and commercialization opportunities, and provided technical business assistance..
Additional programs which Ms. Baker served as a Program Coordinator for include: the Space Alliance Technology Outreach Program (SATOP), the NASA Alliance for Small Business Opportunity (NASBO), The Defense Technology Showcase Initiative, the Florida Disabled Veteran Business Initiative, and Composites Training Workshops in partnership with Brevard Community College and Florida State University. Ms. Baker holds a Bachelor’s of Science degree from Florida State University.